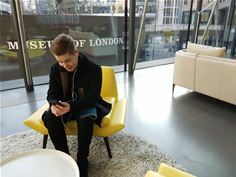 Jack Parsons, the 23 year old CEO of yourfeed, has been awarded Young Digital Leader of the Year award at a prestigious ceremony in London’s St Pancras Renaissance Hotel by Digital Leaders 100. The judging panel was made up of esteemed digital veterans including Maggie Philbin from TeenTech, Accenture’s Emma McMuigan, Chris Yui from Uber and Jacqueline de Rojas from techUK. The winners are selected from a 50% public vote and 50% judges vote. Jack was the stand out winner. Jack Parsons founded yourfeed with a mission to connect two million young people to opportunities by 2020. He already has 2.7 million monthly organic impressions across the social channels and has built a personal brand that is strong and impactful which is shared with young people all across the UK. He started out with £20,000 in his bedroom two years ago and has built his business to a market value £8 million. The highly networked millennial has built an advisory board around him including managing director of Bank of New York, COO Google, and CEO Havas Media Group. Jack Parsons is the CEO and founder of yourfeed, an online platform that is committed to connecting millennials to employers. By 2020, yourfeed aims to connect 2 million millennials to purposeful opportunities. yourfeed provides a modern method of recruitment where young people can showcase their skills, personality and ambition. Branded as the ‘LinkedIn for millennials’, the platform officially launches on June 28th 2017. Jack started the business only two years ago at the age of 21. In those two years, Jack has built a LinkedIn following of over 23K, Twitter following of 31K, and been joined by business advisers from Google and Havas Media to Facebook to LinkedIn. His business is now 10 people, due to be 27 by September. Since 2015, Jack has met with 170 CEOs to shape his offer and, starting in September, has put #ThePledgeUK Tour together. 90 venues in 90 days with 360 businesses sharing inspiration and skills workshops with young people up and down the country. He built yourfeed to help connect them and their skills to employers.